The tactile system provides information to the brain on light touch, pain, temperature, and pressure. Children can experience decreased ability to interpret tactile input or can be oversensitive to tactile input. Many early childhood classrooms and parents provide children with sensory bins to explore various types of tactile input. Some children LOVE it, some children HATE it and many children fall in between the two extremes. 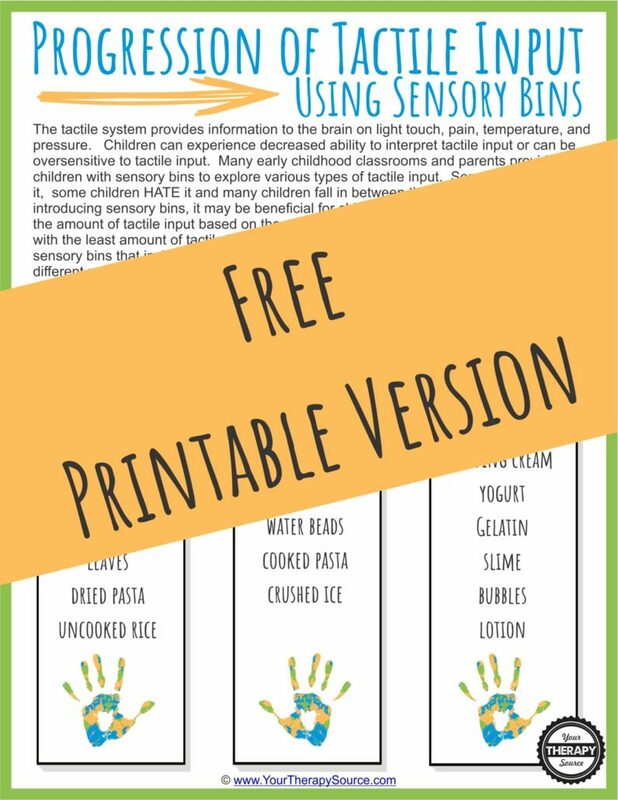 When introducing sensory bins, it may be beneficial for children who are oversensitive to grade the amount of tactile input based on the materials included in the sensory bin. (Children should never be forced to touch anything they do not wish to touch). Do you need more handouts? Check out the Sensory Tools In the Classroom packet. 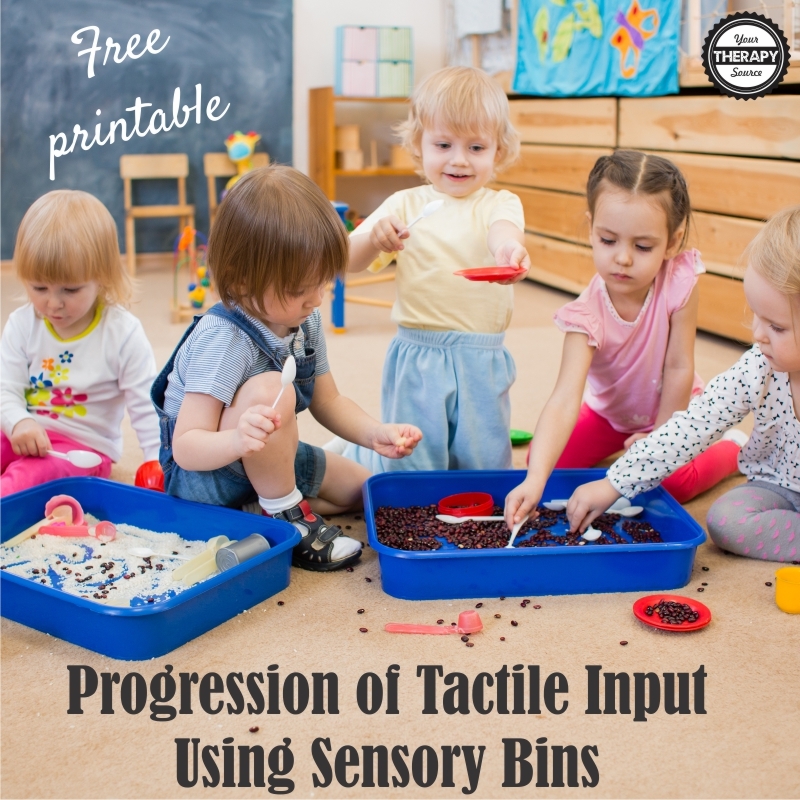 Would you like a FREE printable handout of this post to provide to school staff or parents regarding the progression of tactile input? Enter your email below to sign up for our newsletter and you will be redirected to the download.